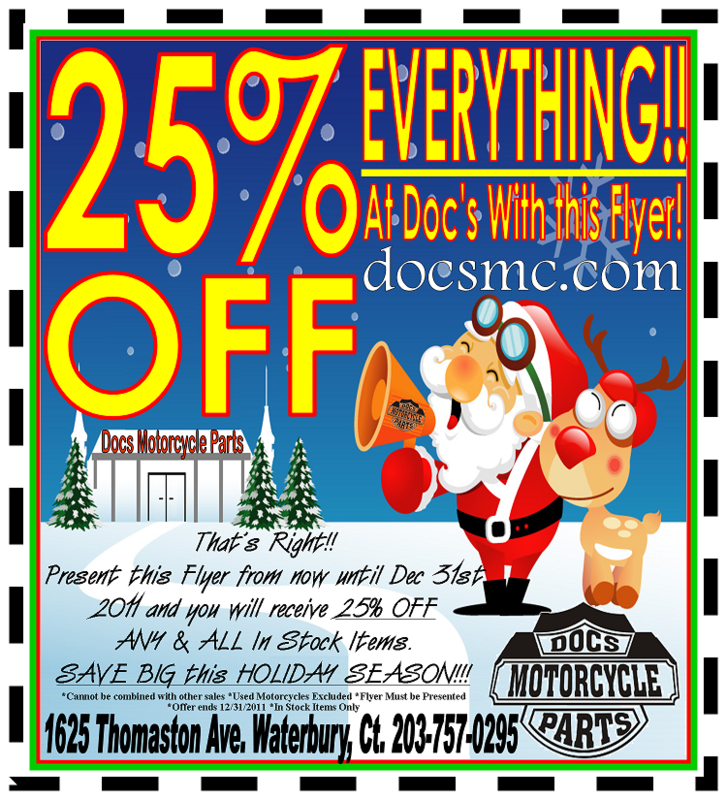 25% OFF EVERYTHING IN-STORE AT DOC’S!!! ANY & ALL In Stock Items. SAVE BIG this HOLIDAY SEASON!! !